With a sense of melody that compares to his label boss Lil Durk, Chicago’s OTF Ikey is a brash and confident future hitmaker. Holing up in his safehouse with a veritable mountain of work, OTF Ikey relays the benefits of “Trappin’ Hard” with his latest music video. A high-energy hybrid of ATL and Chicago styles, “Trappin’ Hard” is a flex-heavy banger, dominated by Ikey’s dramatic ad-libs and outlandish boasts: “I’m never with a basic b*tch/Your b*tch she on my waiting list.” “Trappin Hard” is the latest single from Only The Family Involved Vol. 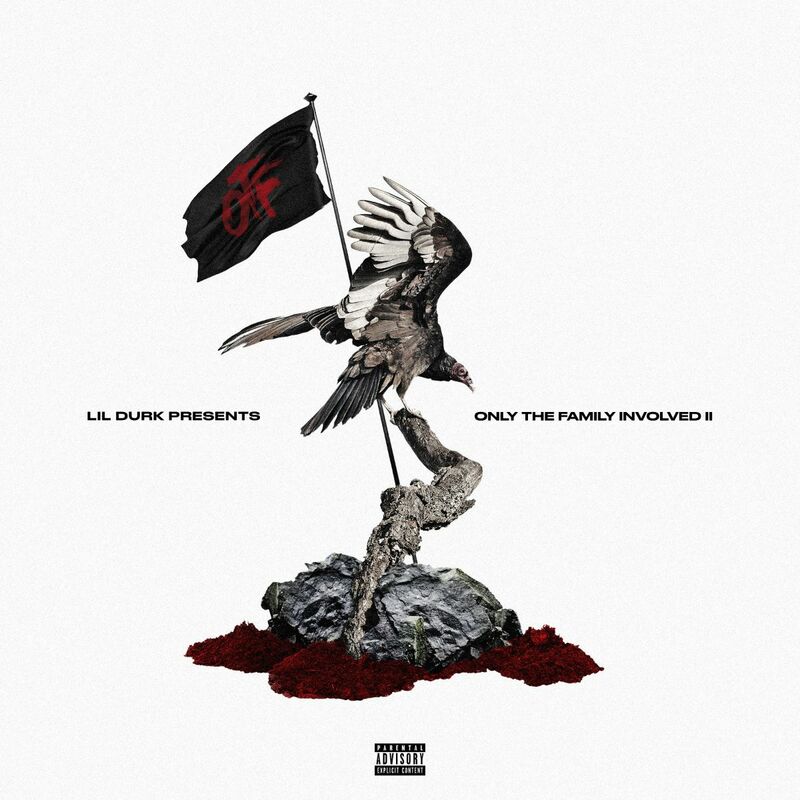 2, the latest compilation mixtape from LIl Durk’s Only The Family label. The follow-up to this summer’s Only The Family Involved Vol. 1, Vol. 2 boasts numerous contributions from Lil Durk, as well as OTF standouts like Booka600, King Von, and Doodie Lo. Last week, OTF shared “Crazy Story,” by King Von, the lead single from the project, which has over 363k views on YouTube. Flexing his expert storytelling ability, Von recounts a tale of a robbery gone wrong in “Crazy Story,” as he mimics a conversational patter, packing his story with intimate detail and boastful digressions. The most recent signee to Only The Family, King Von recently made headlines for his romantic relationship with Asian Doll, and built a buzz with tracks like Onlythe sinister “Problems,” which has over 1.2 million views after its debut on Lil Durk’s YouTube channel, and the defiant “War Wit Us,” which has over 832k YouTube views in its first month of release.. Stay tuned for Only The Family Involved Vol. 2, releasing on December 21st via OTF/EMPIRE.